Arriva has launched 17 new MAX branded buses on the 202/203 service between Huddersfield, Mirfield, Dewsbury, White Rose Shopping Centre and Leeds. The ADL Enviro 400s feature E-leather seating with headrests, free wi-fi, journey planning technology and satellite tracking. 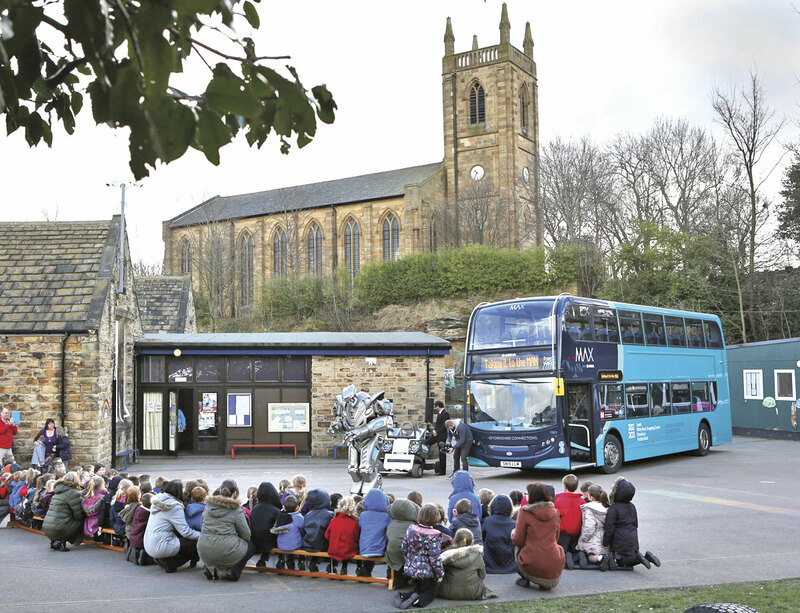 Titan the robot introduced the £3.7m new vehicle investment to the public at the White Rose Centre having previously appeared with one of the vehicles at a school along the route in Hanging Heaton. After investing £1.2m in buses for its Sapphire service 101 between Medway and Maidstone last August, Arriva is spending a similar amount in six more new buses for the same route. The new ADL Enviro400s will enable the older but fully refurbished buses they replace to bring the benefits of Sapphire to another, yet to be announced, route. The new vehicles feature E-leather seating, free Wi-Fi, three-pin and USB power points and audio-visual next stop announcements. These latest double deckers will bring Arriva’s investment in buses for its Kent and Medway services over the past nine months to more than £7m. 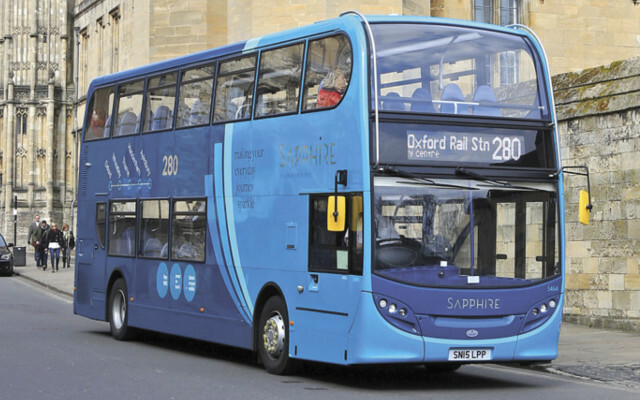 Another Sapphire service, the 280 linking Oxford and Aylesbury has also received new ADL Enviro 400s to replace the older refurbished vehicles used for the services initial launch.